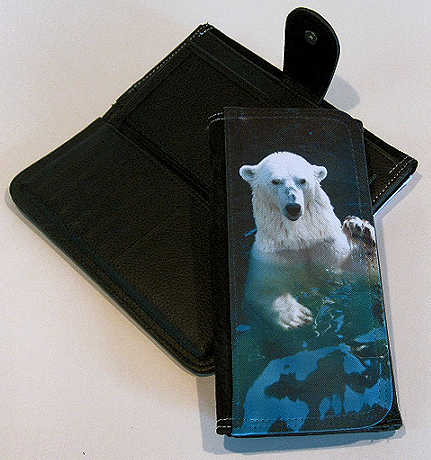 A 'leather feel' wallet with a dye sublimation printable front panel which is individually packaged in a white cardboard box. There is a wide selection of internal slots/pockets and a zipped area for coins. The overall size is 19 x 10 cm and the printable area is 19 x 8.4 cm. Prepress the printable panels to remove any moisture in the fabric and then press for 50-60 seconds at around 195º centigrade using medium pressure.